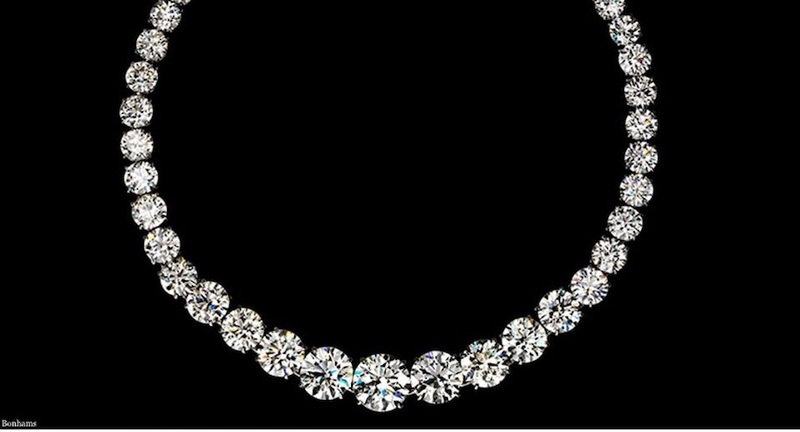 A diamond necklace owned by the late actress Zsa Zsa Gabor is expected to sell for between $1.2 and $1.5 million at auction. Forbes reported on Friday that the stunning necklace, made by Harry Winston in 1964, features 66 carats of diamonds – some weighing as much as 8 carats – and ranging in quality from F to I with a clarity of VVS2. The necklace will be auctioned by Bonhams in New York on December 4. The auctioneer will organize previews in a number of cities including Los Angeles, Hong Kong and New York, prior to the auction date.